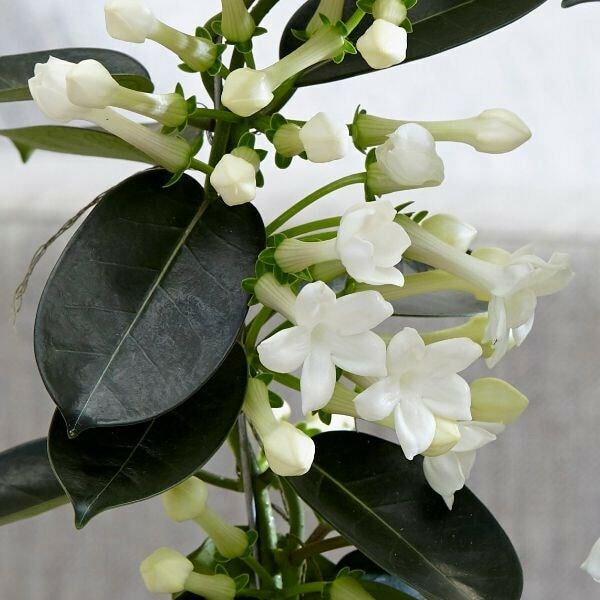 This beautiful twining climber has deliciously scented flowers and therefore is often used in bridal bouquets. 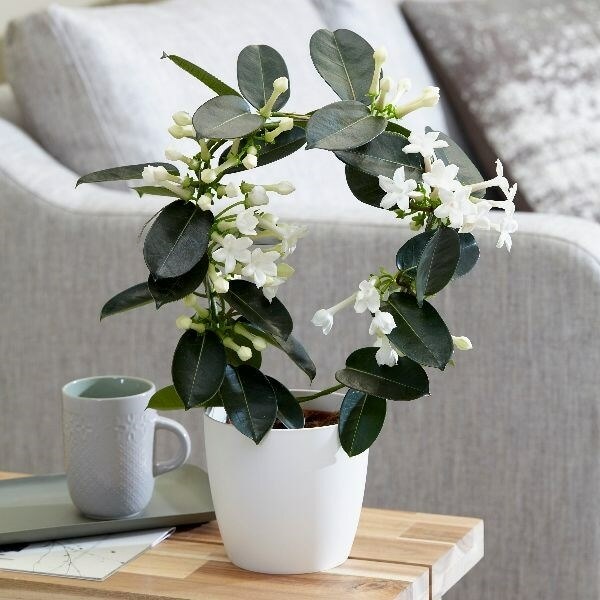 In the home, it can be trained onto a support and the jasmine-like perfume of the flowers will fill the room for several weeks. As it matures it develops vigorous, climbing stems, that are clothed with glossy evergreen leaves. Perhaps not ideal for the more novice gardener, it is however incredibly beautiful and rewarding, and can be moved outside during the warmer months of the year. Please note that the pot in the photograph is not supplied with the plant (which is sent out in a black plastic pot). They do however make excellent potted plants, and if you wish to pot yours up, we do have a wide range of pots on our website to choose from.